Under-five Mortality Rate (2015): 29 deaths per 1,000 live births (ranked 71 of 193). Source: UNICEF SOWC Report, 2016. Human Development Index (HDI) (2014): 0.627 (ranked 128 of 188). Source: UNDP, Human Development Report, 2015. 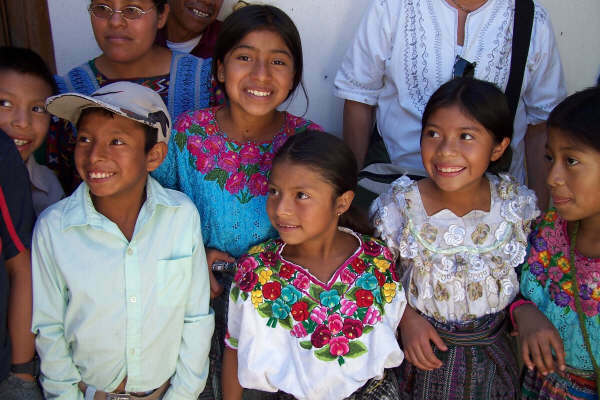 ChildFund began operations in 1964 in Guatemala under the Mexico Programme. It was officially established in the country in 1974, serving 500 children in urban areas. 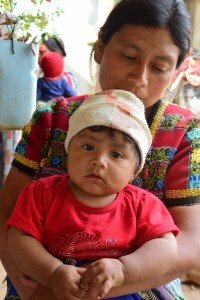 ChildFund Guatemala has consolidated its work through alliances with local organisations, placed in intervention areas. This strategy has led to the development of quality child development programmes, projects, and activities focused on the healthy transition between the three life stages: Life Stage 1 (0 -5 years); Life Stage 2 (6-14 years); and Life Stage 3 (15-24 years). This life stage approach empowers deprived, excluded and vulnerable children to improve their lives and become young adults, parents, and leaders who bring lasting and positive change in their communities. During FY15, our efforts positively impacted 50,724 participants—35,345 children and 15,379 adults, including mothers, community leaders, teachers, health workers, local authorities and members of public service in 255 communities of 44 municipalities in 13 states, which is the coverage area of ChildFund in Guatemala. The Healthy and Secure Infants programme for 0 to 5 year olds is designed to provide the right start to life for children, ensuring the healthy physical, cognitive, social and emotional development and protection of young children. 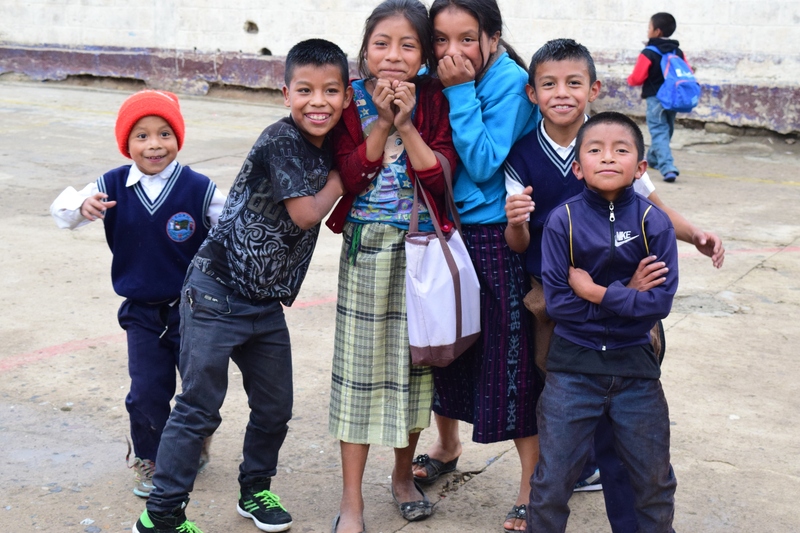 ChildFund Guatemala has implemented community spaces in family homes called “Houses of Evaluation and Orientation (CEO for the initials in Spanish). These spaces accommodate the right environment for Guide Mothers to pro-vide parenting and caregiver support, within the cultural context of the com-munities. This is critical given that the 1,000 day window between a woman’s pregnancy and her child’s second birthday will determine the course of their future, and in time, also shape the future of their families, communities and the stability and prosperity of our planet (World Food Programme). Activities of “Healthy and Secure Infants” executed in 92 communities. The projects under this programme are Play with me and Window to life. Play with Me – Our Play with Me Project includes components of healthy maternity, nutrition and early stimulation and school readiness. Our technical team and partners build the capacity of volunteer Guide Mothers who teach parenting techniques. Guide mothers also talk with parents and caregivers about childrearing patterns and nutrition. Each week infants under five also receive sensory stimulation to help them develop fine and gross motor abilities, cognitive- sensory capacities, and social-language skills. During FY15, this project benefitted 7,423 infants (53 percent girls and 47 percent boys). Window to life – In this project, ChildFund Guatemala worked with 483 infants (54 percent girls and 46 percent boys) and 1,302 mothers, in the coverage areas, with the sup-port of 396 Guide Mothers, who voluntarily led the early stimulation groups and motivated mothers to continue the exercises at home. Maria Natalia and daughter Yolanda, 8 months, at an ECD program in Palima, Guatemala. For children ages 6 to 14, we currently have three projects: I learn, Let me tell you and Seeds of Change. I learn – This project benefitted 4,844 children in FY15 and aims to promote competency in reading and writing, with extra emphasis on reading comprehension, and developing critical through and logic reasoning abilities. In terms of participation, 55 percent were boys while 45 percent were girls. This is similar to the nominal national difference in school enrolment between boys and girls. 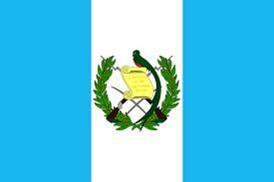 However, in Guatemala, the enrolment gap between rural and urban areas is significant. Let me tell you – This project aims to empower children to express themselves and overcome the challenges youth face on a daily basis. It uses six guides to train children ages 6 to 14 in effective communication and research skills to examine their social con-text. This enables children to learn about the reality of the communities where they live through community research. Children who received training shared new knowledge, presented findings and proposals to peers, parents, teachers, municipal authorities and community leaders, using different media like plays, songs, posters and murals. Brenda, one of the girls participating in the programme says, “I have learned to love myself and care about others,” communicating the importance of self-esteem and respect for others in achieving permanent change in the environment. In FY15, this project benefitted 8,390 children. Seeds of Change – This project is designed for school aged children in the formal education sys-tem to learn about practical planning, saving money and business skills. Children in this project plan and carry out their own initiatives, which motivate them to take an active role and learn about their rights and responsibilities, while raising their self-confidence. Participants are motivated to become agents of change in their communities. In FY15, this project benefitted 1,788 children. The programme targets 15-24 year olds and supports young people to become agents of positive change in their communities and earn the respect of adults in a society where youth face many challenges, including violence and lack of opportunities. In the Skilled and Involved Youth life stage, ChildFund funds the projects I love and take care of myself, Active Youth and My Chance. I love and take care of myself – This project aims to empower both young women and men to take charge of their sexual and reproductive health by learning their rights and creating a supportive network. It also seeks to reduce the number of teenage un-wanted pregnancies, and knowledge of STDs and HIV in adolescents and youth. They receive training on sexual and reproductive rights, women’s rights, human rights and the pertinent legal framework. They are also certified as promoters of sexual and reproductive health to help other young people better understand these rights, including HIV prevention. If FY15, 3,272 participated in this project (52 percent girls and 48 percent boys). Further, 622 adults were involved with the project. Active Youth – Our Youth in Action project equips adolescents and youth with competencies to be positive and active leaders in the development of their communities. This project trains youth on human rights with an emphasis on gender equality, sexual health and reproductive rights. Adolescents and youth participate in a leadership and advocacy certificate course which teaches them advocacy skills and how to analyse and interpret the context in which they live. Youth conduct research, analyse, and document the situation of young people in the local, national and global con-text. Project participants create written proposals and host events where they express ideas related to their research and propose solutions to identified problems. Participants of Youth in Action implement development initiatives in their communities to ad-dress problems that affect them. As a result we find youth participating in formal and informal political, cultural or traditional forum. In FY15, a total of 2,153 youth participated in this project (51 percent girls and 49 percent boys). My chance – The My Chance project works with youth to change their life expectations by improving their socioeconomic situation in a sustainable manner. Participants attend sessions on self-esteem, write life plans, develop of technical skills for self-employment at training centres, and learn to develop business plans that comply with the basic principles of socially responsible business practices. Events are held to involve parents, community leaders and local authorities to promote the importance of education and provide support to the adolescents and youth involved in the different project activities. In FY15, this project helped 780 youth develop a better vision of their life plan, and complete technical and entrepreneurial training to generate skills to seek employment or become self-employed. In a community of central highland in Guatemala, Claudia 19 years old is working in a drug store. 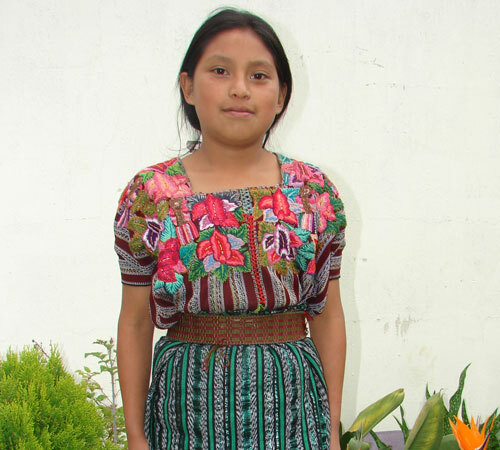 She has been enrolled in ChildFund Guatemala’s sponsorship programme since she was five. “I always enjoyed participating in all activities … There was always something to learn about,” Claudia says, recalling when she was a little girl. “My family, and my mother always though it was a good idea for me to be a part of the projects so I could learn a lot,” Claudia continues. Delgi, 18 years old, was born in a community in the Western Highlands. When she was four years old, her mother registered her in a ChildFund programme; she was assigned a sponsor and they have been in touch since then. When Delgi was six, she started grammar school. “I always got good grades and the teacher said it was because I attended preschool. That was the first time I got a prize for being a good student,” she says. Currently, Delgi is about to receive an Accountant diploma. Her parents and her sponsor are very proud of her. “Being part of the ChildFund programmes has been really important. I have learned about a lot of matters. I understand about how I have rights and how to respect others. Many children have learned to value themselves and we have a vision of the future,” she says, as she gathers her “stuff” to get ready to go to school.